Last Fall my cousin Cheryl emailed me to ask if I would like an Architecture book that they found at a sale; of course I had to answer yes. 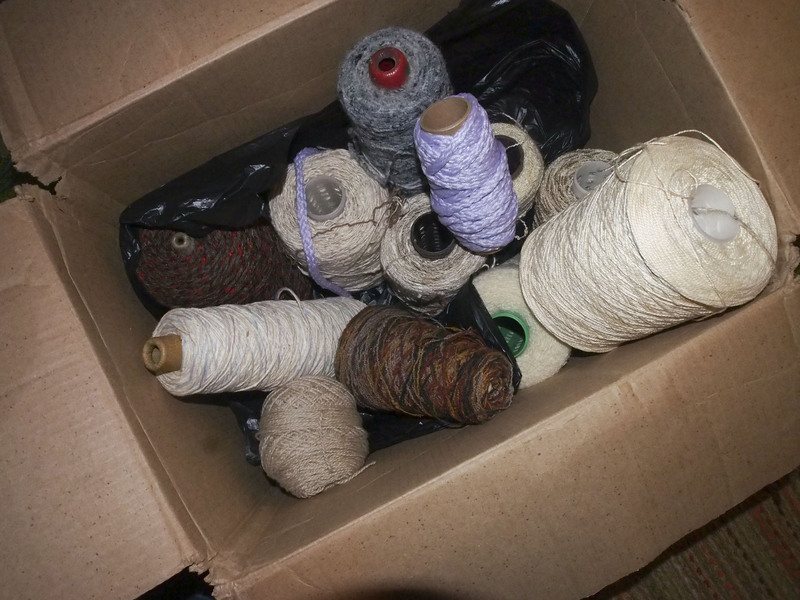 I was very surprised when this large box arrived the next week. 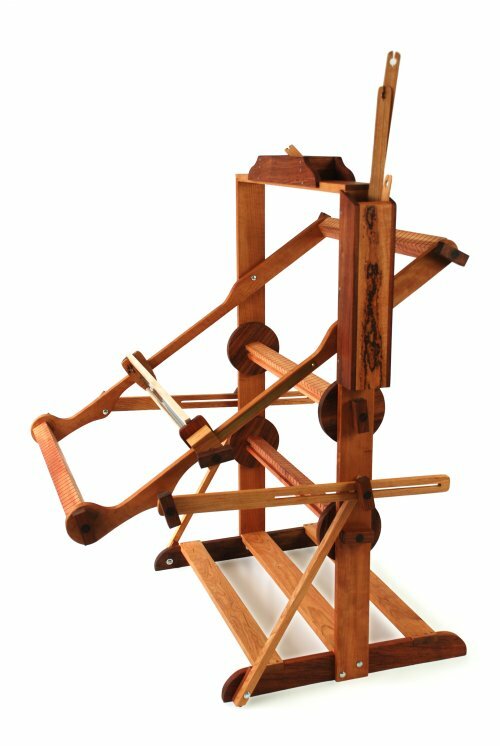 It has been evolving through the years. 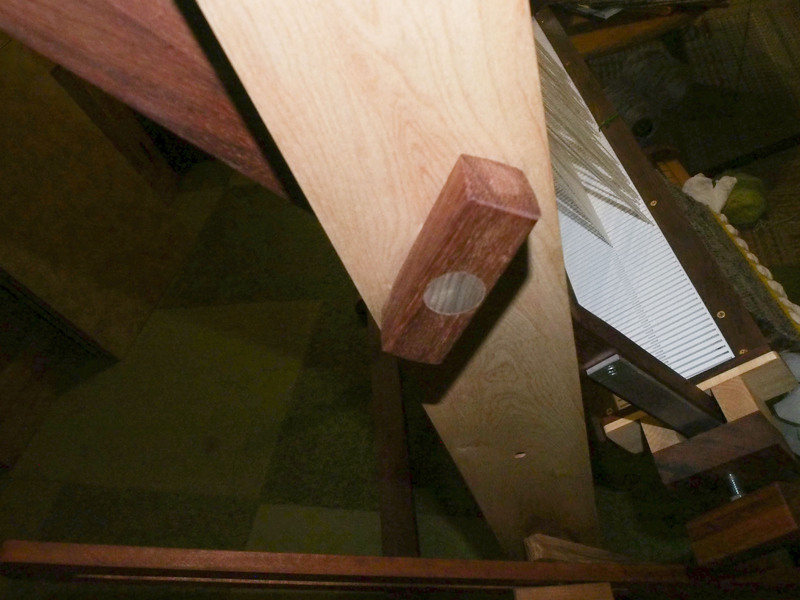 showing many of the “beauty marks” from the wood. 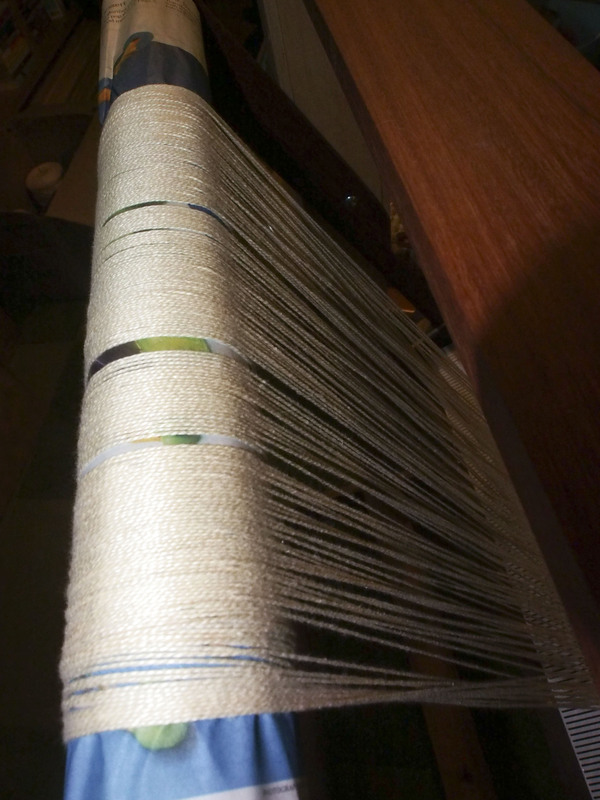 comfortable to weave at their loom. 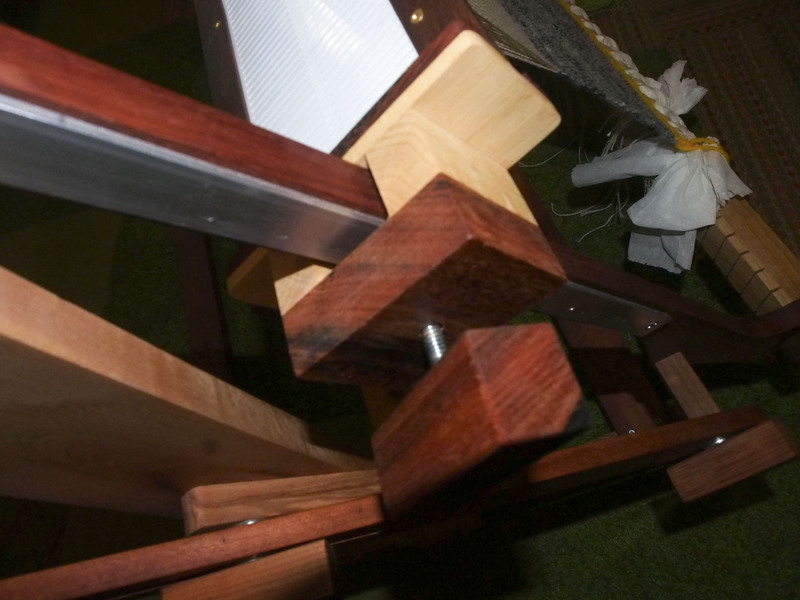 It has slides on the sides, which allows more space for theweaver to create. 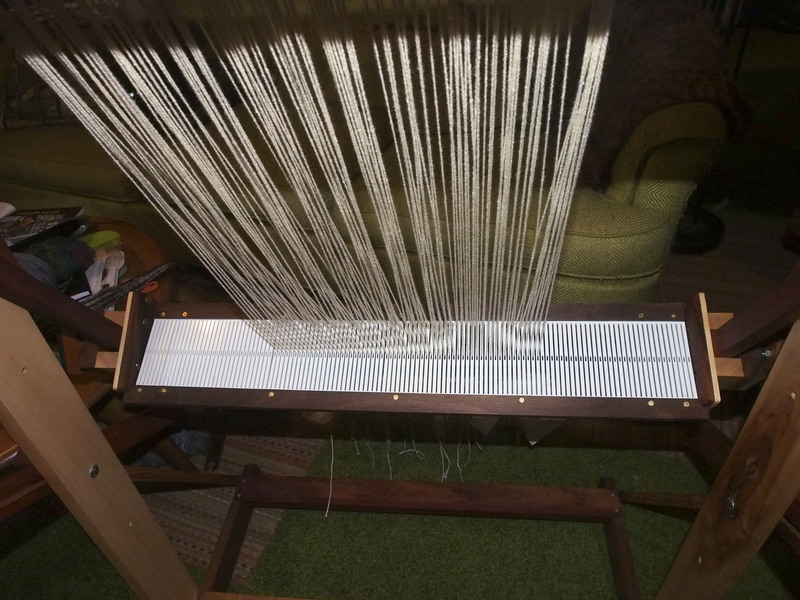 The loom can pivot down to enable the loom to slide into small spaces. 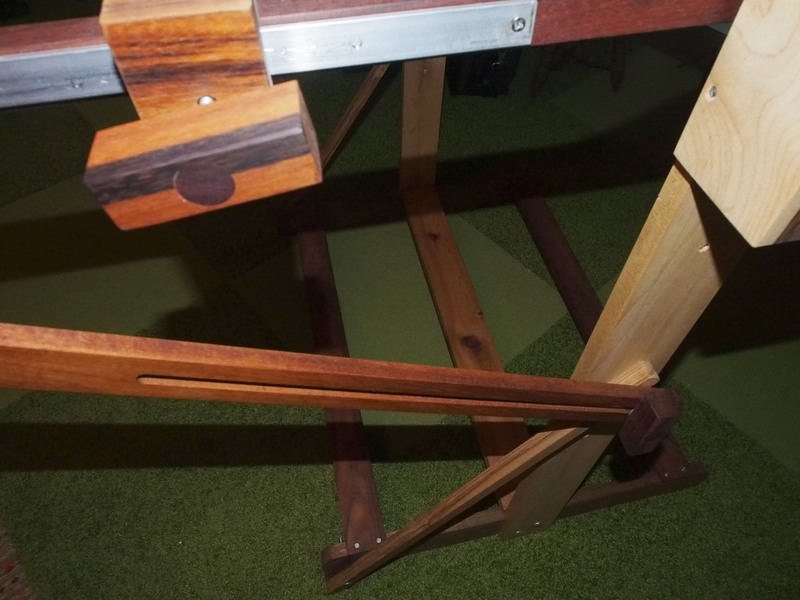 They are made in 18″ and 24″ widths. 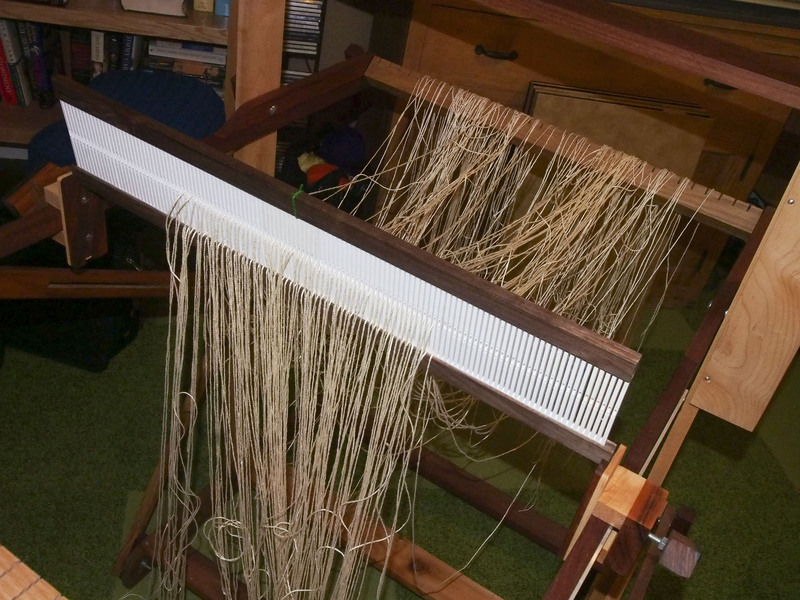 A couple of weeks ago my loom arrived, the 24″ wide version, and last week Joe helped me to set it up and warp the threads. 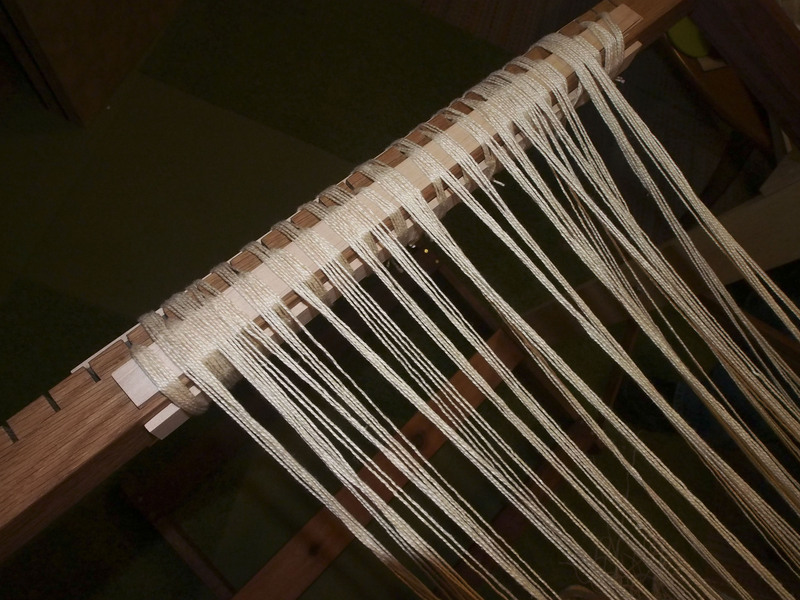 Sliding Bar for the Rigid Heddle so that it can move down towards you and requires less time winding up. 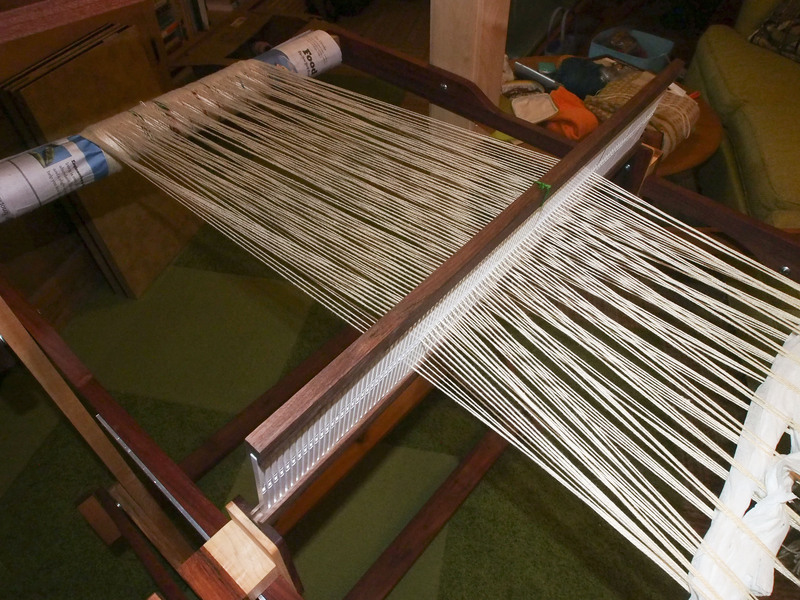 The warping took about 2 hours and I used some of the cream colored cotton in the gift box of weaving yarns. 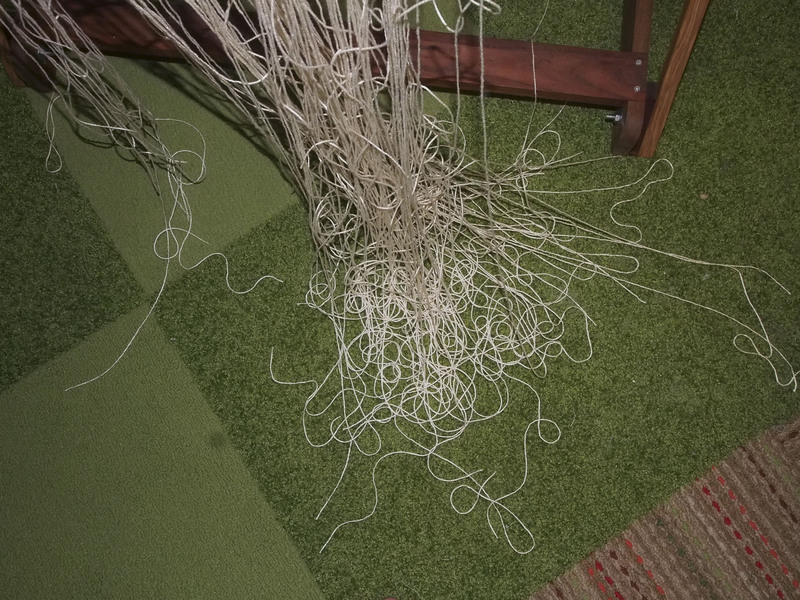 Looks like a mess, but it all turned out beautifully. 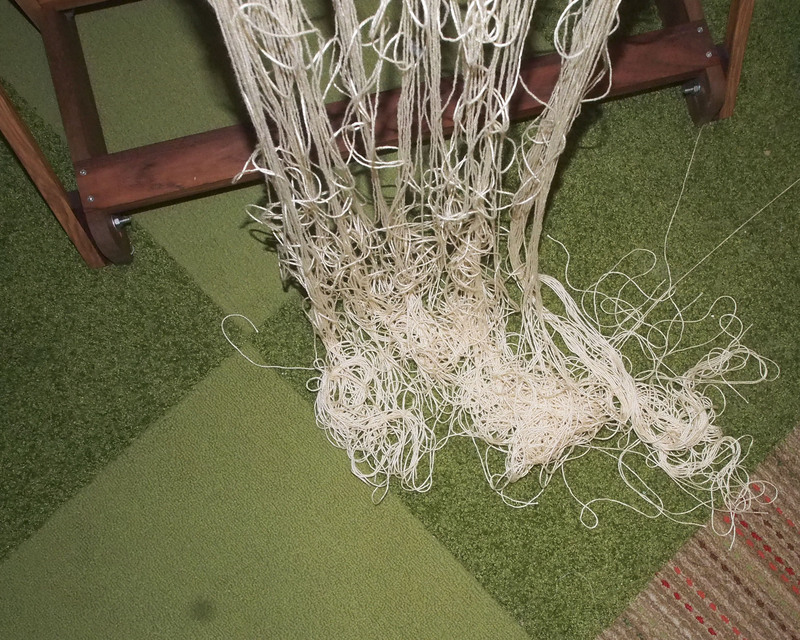 Then we wove some toilet paper at the beginning to even out the threads and I was ready to go. 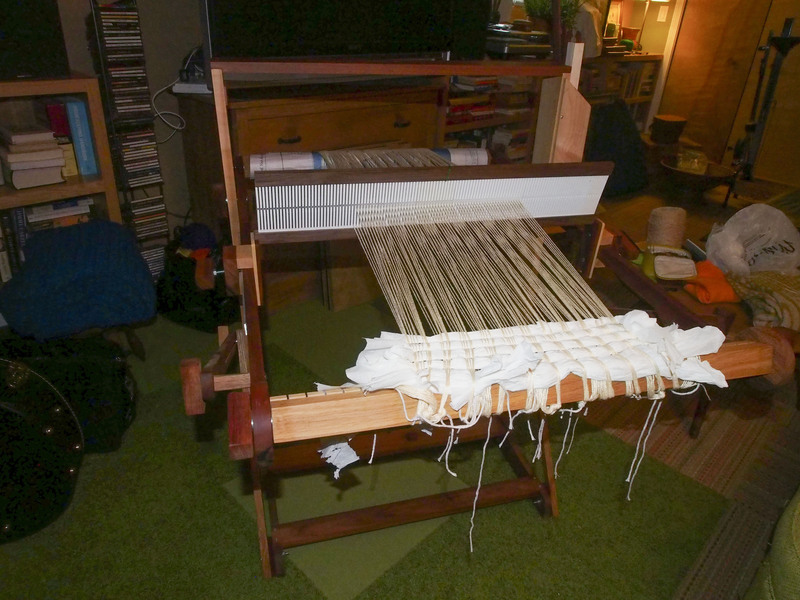 And there she sat for a couple of days while I looked at Youtube videos and waited for Jane to come over and guide me throughout the beginning of my first project. I know about that bug. 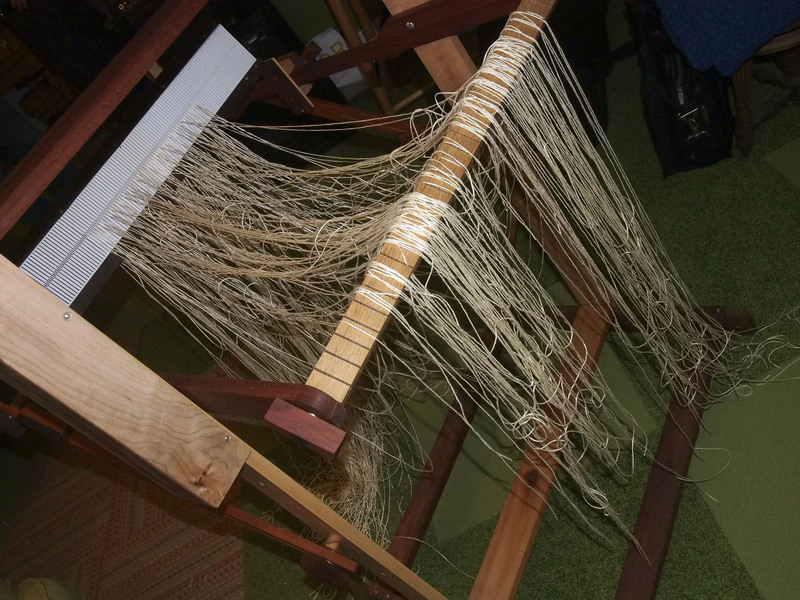 I was able to hold off until I saw the wonderful things that my friend Jane was weaving. How exciting!! 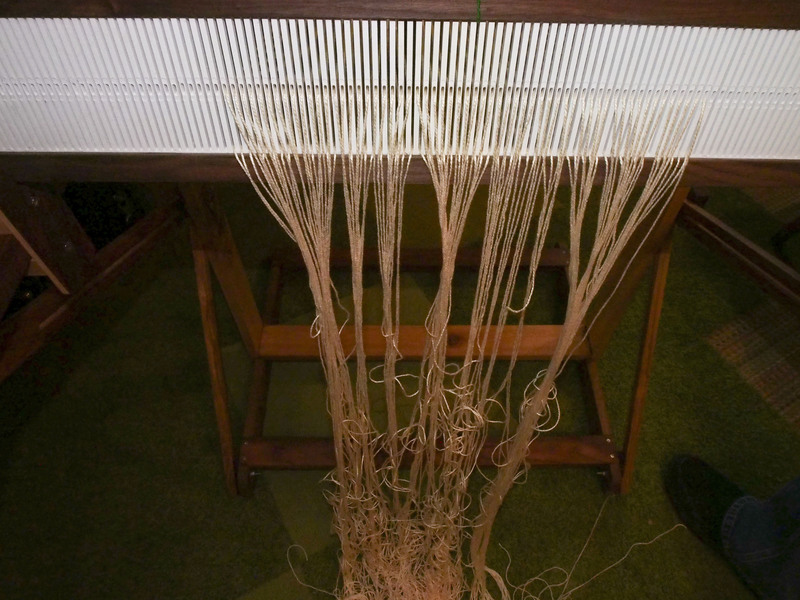 Your loom is gorgeous! It really is. 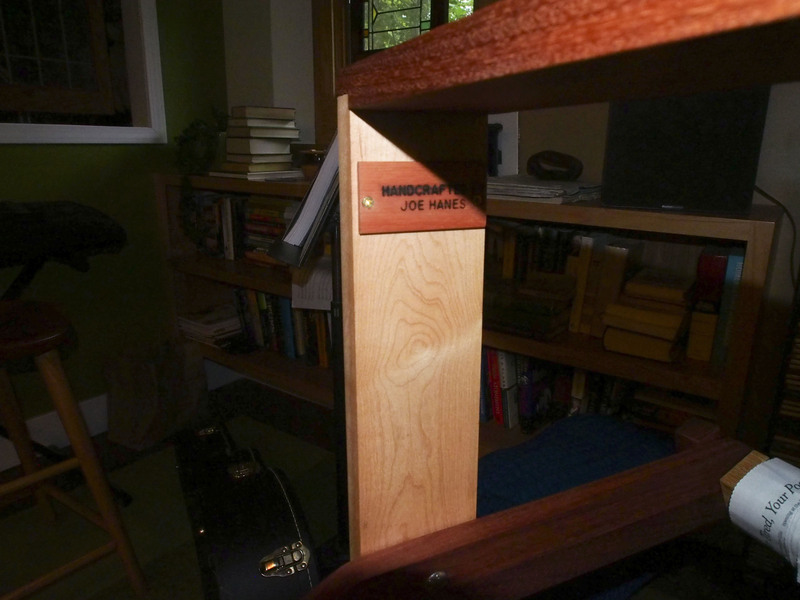 He is a master woodworker, and uses beautiful reclaimed lumber so each piece is slightly different.